The fallout from Volkswagen's admitted diesel emissions cheating scandal is increasing in courtrooms around the world. But the latest action doesn't concern the act itself – installing onboard software in clean diesel cars that adjusted emissions only when it sensed a test was being conducted. Rather, the latest legal issues are being brought by interests that owned VW stocks and bonds, which suffered heavy losses as the scandal unfolded. The New York Times reports German prosecutors are investigating former VW CEO Martin Winterkorn, and other top executives, for alleged violations of securities laws. At issue is the law requiring companies to report material events that could affect stock prices as soon as they are discovered. The Times says prosecutors are investigating whether VW's top executives sat on the information that the cars did not comply with clean air laws. 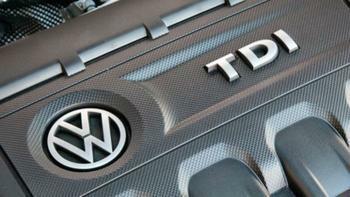 VW has said all along that top executives were in the dark about what was happening. In the U.S., major VW bondholders have sued the German automaker – again for issues affecting asset prices. CNBC reports the public pension fund for Boston city employees is the first to initiate litigation in this area. The suit, filed in California, claims VW misled the investment community, causing its bonds to trade at “artificially inflated prices.” The bonds lost value once the scandal broke. The suit seeks damages on behalf of people who purchased bonds between May 23, 2014 and September 22, 2015. Volkswagen already faces litigation on behalf of consumers. Back in January, the U.S. Justice Department sued VW, charging it violated the Clean Air Act by installing defeat devices on some VW, Audi, and Porsche diesel vehicles that would not otherwise have met federal emission standards. At the time, Assistant Attorney General John C. Cruden said the cheating scandal breached the public trust, endangered public health, and disadvantaged competitors. In April, VW said it would fix or buy back about 500,000 "clean diesel" cars equipped with software intended to fool emissions test equipment. The presiding judge said affected owners will have a number of options, including a buyback, cancellation of their lease, or modification of their car. Under the agreement, affected consumers will also get financial compensation.